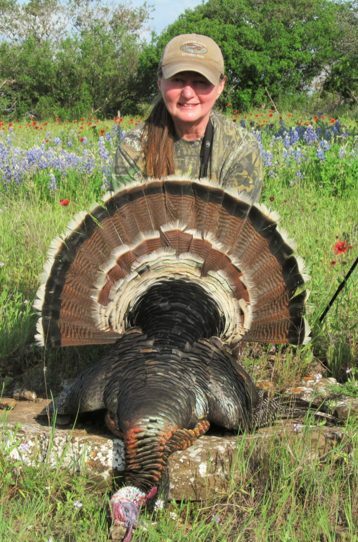 It’s been said the Texas Spring Turkey Hunt is one of the most exhilarating hunts of the year! Well, the gobblers and bearded hens are some of the most elusive animals to hunt, which makes the experience all the more fun. But beyond their elusive nature, you must remember that these birds are smaller targets than you’re used to with typical big game hunting in Texas. So not only do you have to be smart about finding your turkey, you have to stay smart in taking it down! 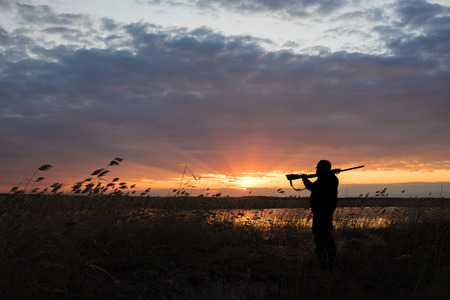 The easiest way to locate your bird before the hunt even begins is by carefully locating the site of his roost. Roosts are typically close to a water source and in a densely covered area of the woods. A turkey looks for a roost site that will be easily accessible for them to fly up into and keep them safe during harsh weather. So, once you are able to locate the roost, you’ll know exactly where to track your turkey from. The turkey breeding season occurs in spring. Why is this perfect for your spring turkey hunt? Because male turkeys are focused on finding a hen. They will be vocalizing their presence to the hens nearby and strut to prove their worth. Not only will your target be distracted trying to impress a potential mate, he’ll also be letting you know (loudly) as to where he’s located—making easy work for you. So, you’ve spotted your turkey in the distance. The key here is patience! Rushing to get your first turkey is not going to get you the turkey. Successful turkey hunting can take all day, especially considering that your targets have nowhere to be. If you jump the gun and make too much noise, nearby turkeys could scatter, and you won’t see them again for the rest of the day. Although, it may be tempting to find a turkey as fast as possible, going slow and steady will yield better results. Turkeys are habitual creatures that tend to have consistent daily travel patterns. However, weather can throw them off course. High temperatures can keep them in a more shaded area near water, whereas heavy and unpredictable snow could cause the birds to interrupt their regularly scheduled feeding and strutting. Look to the forecast and plan your hunt for a day that is calling for a clear morning and mostly sunshine. This is, hands down, the most ideal weather for your turkey hunt. However, don’t let unpredictable weather deter you! Extreme heat? Look to heavily shaded areas near bodies of water. Lingering fog? 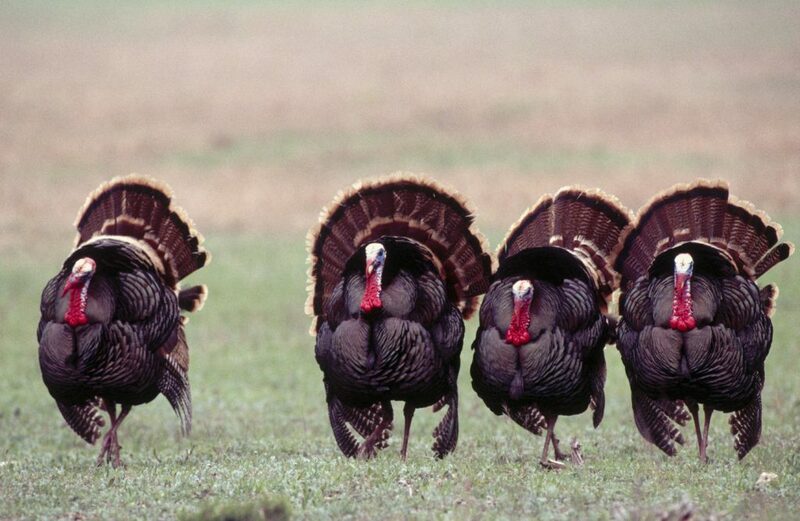 Start your hunt a little later as to match pace with a turkey postponing leaving their roost. Windy? Head to hillsides and calm valleys, staying upwind of the target once spotted. Whatever else Mother Nature wants to throw your way should only entice you to take on the challenge! Turkey hunting in Texas is all about preparing for anything and everything. During a hunt, you need to be able to adapt to what the turkey is doing. If you’re calling a bird and he’s coming closer, then perfect. If he’s answering your calls, but not moving any closer, you might have to change your game plan. Try repositioning and calling again from a different location. Again, turkey hunting is all about patience. Brush up on your turkey talk before setting out on a hunt! It could mean the difference between enticing the bird to come closer and scaring them away. From the basic cluck which is a single-note sound to the hen yelp which could be as long as eight notes, turkey hunters must practice these calls before testing them on the hunt. Increase your chances of attracting nearby turkeys by using a wide variety of turkey sounds! There are several types of turkey decoys that exist, but a hen setup is most effective. Be sure to put your decoy at a distance that’s far enough away that you won’t be spotted, but not too far where you aren’t even in max shooting distance. After setting up your decoy, be sure to position yourself off to the sides. The last thing you want to do is sit directly in line with your decoy because the approaching gobbler will have no problem spotting you almost immediately. Speaking of setting up your decoy, it’s time to take care of your own hunting setup. Make sure that where you choose to position yourself is comfortable terrain. You’ll be hunkered down for a while (remember what we said about patience?) and an uncomfortable setup will make you more likely to move and make noise. Also, use the terrain to your advantage. The ideal setup places you in a mostly concealed spot with the turkey approaching from a different level. Turkey hunting in Texas may seem like a lot of work, but it comes with high rewards: two Rio Grande gobblers! Join us at Schmidt Double T Ranches for some of the best springtime turkey hunting in Texas. Give us a call at 325-347-2613 or click here to learn more about our turkey hunting packages!